Let’s take a look at the 3-WAY CALLS now. Your friends don’t care that I’m nice. Don’t get me wrong. They’ll like that I’m nice. They’ll appreciate that I treat them well. But that won’t make them care what I have to say. And you really want them to care. So I’m going to let you in on a little secret. It’s called third-party validation. It’s a vital component to sharing this business. And all it really means is that someone — anyone other than you, really — has to deliver the message to your friends and loved ones. Remember, be the messenger, not the message. Your job is to get them in front of the message, not to tell it yourself. What’s crazy (and, for the record, statistically proven) is that your friends are more likely to trust a complete stranger who delivers the same message you want to share. Why? Because you’re going to edify the heck out of that stranger. 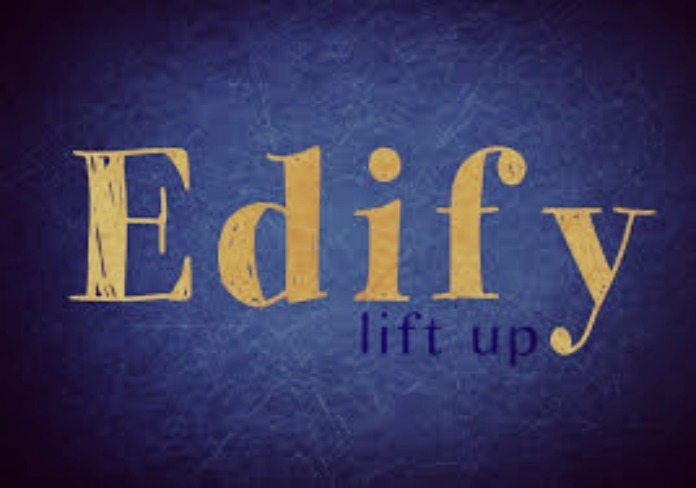 Edify (verb): To build UP. But we’re not really talking about a stranger, are we? No. We’re talking about your upline: your sponsor (the person directly above you), enroller (the person who enrolled you who may or may not be the same person as your sponsor), and those above them. Lucky you — you happen to have an upline of total rock stars. Who wouldn’t want to hear the message from a rock star? SVCMDs Dr. Corey Gold & Tom Chenault are millionaire earners in Youngevity and they are investing in our growth. Your growth. VCMDs Mike Battistelli & Deb Bruckschen are veterans in this industry and they regularly do 3-way calls for our team. And of course, you’ve got me. Plus you’ve got your enroller and your sponsor (if they aren’t one of the ones we’ve already listed). So you’ve got a lot of support, and your prospect needs to know that! Tell them how incredible your upline support team is! Tell them they’d be lucky to join this fast-growing team! I’m using exclamation points like they’re going out of style because THIS IS A BIG DEAL!! Edification doesn’t start when you call your prospect for a 3-way call. It starts long before that. You should be edifying (building up) our profession, our company, our founder, our team, and our upline. Your prospect should feel like they’re about to meet and consider joining THE BEST THING ON THE PLANET. I have a team member (several, in fact) who edify so well that by the time the prospect gets on the phone with me, he’s buttering ME up because he knows this is such a special offering and he wants to be sure I’ll agree to coach him and show him what I’ve done that’s made me successful in this business. Now THAT is some great edification!! So, when does edification start? Start NOW. Then, it’s time to do a 3-way call. Start edifying now! See above. Set the appointment. Once you’ve edified everyone and gotten the prospect excited about meeting your sponsor, you’ll set an appointment for the call. Personally, I prefer the distributor (you) get with the prospect first and find a few windows of free time that work for both you and the prospect, then I’ll choose a good time from the available window. Confirm/remind both parties. I suggest a quick text to the leader (about 15-30 minutes before the call) confirming that he’s ready, and a quick text to the prospect about how much the leader is looking forward to meeting her. Edify both parties. Once you get both the leader and the prospect on the phone, you’ll make introductions. This is the most important part of the call. You’ll edify your prospect a little — saying why she needs this, wants, this and would be great at this. (Follow that formula!!) Then you’ll edify the leader and tell the prospect why the leader is so perfectly qualified to help. (Remember, nobody cares about a leader being “nice” so make your edification bullets on-point — address their ability to build a successful business, help a lot of people, be in the Top Achiever’s Club, etc.). More on this below. MUTE YOUR PHONE. Once you’ve introduced the parties, let your leader take over. Listen carefully because you’ll learn a lot, but please do not jump in. Make notes of anything you want to add and USE THAT AS A FOLLOW-UP! But give your leader the space to do their job. I’m serious. When this process is followed, 3-way calls are very successful. On a recent one I did, the distributor had edified me so well that the prospect was ready to sign up for just about anything I was offering. When the leader is not edified, the result is usually that the prospect doesn’t understand why she has been asked to meet the leader, why she should bother listening to or believing the leader, and what the outcome is supposed to be. There’s a big difference! So, let’s stick to the edification plan. Now, before you engage a leader in a 3-way call, you need to know how to edify them. If you’re actually going to do 3-way calls (and you really, REALLY should), then you need to make sure you have edification bullet points for introducing your upline support person to your prospect. Biz Prospect: Jenni’s excellent at coaching people on how to maximize their earning potential / always makes herself available for 3-way calls / has really impressed me with how attentive she is to her team, etc. Stay-at-home-parent Prospect: Jenni and her husband Paul have two little girls Samantha – 3 years, and Alexis – 3 months) and she is so glad she can raise her kids AND her family’s income at the same time. She loves showing other parents how to do the same. Health Prospect: Jenni’s a Certified Health Coach and a Maker’s Diet Revolution Coach, and she’s excellent at pointing people to health-related resources. This is an incredible webinar Dr. Corey Gold recorded for our team. It’s all about edifying, and it covers the how and the why of doing 3-way calls. Well, what are you waiting for?! Get out there and set up some 3-way calls!